Some of my favorite ways of adding a little geek to any space is with some great art. In going along with the idea of geek chic, my favorite art pieces are when they’re a nod to the subject, but not necessarily blatant. 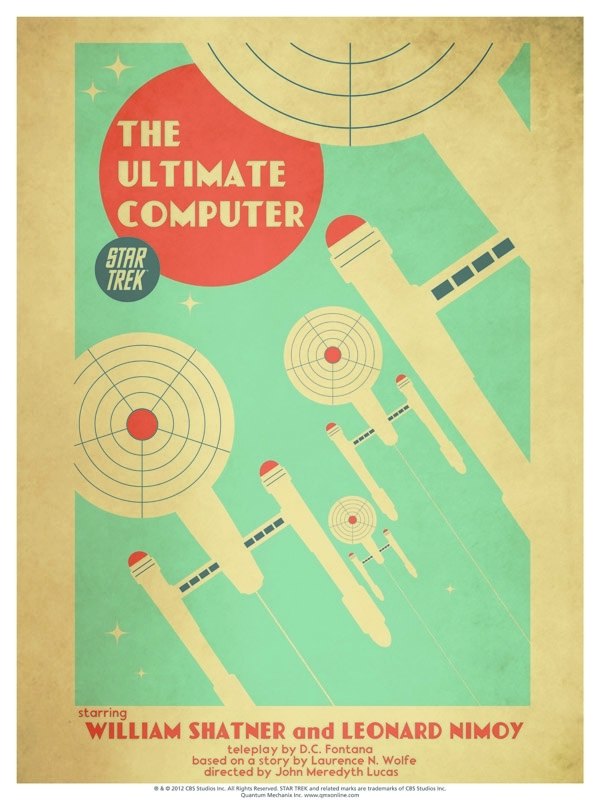 One of my favorite examples are these retro Star Trek prints that QMx will be releasing over the upcoming months. Artist Juan Ortiz has created a series of prints based on every episode of Star Trek TOS and the first series is available right now. The next set will be out at the beginning of September. Another one of my favorite places to nab art, and a yearly stop at SDCC, is Acme Archives Direct. 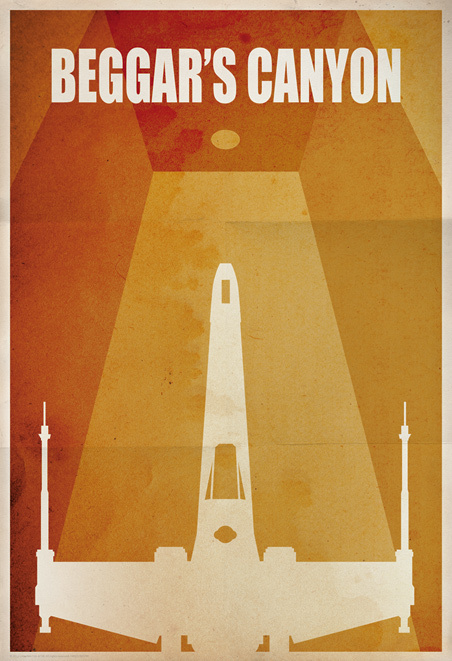 These Star Wars prints from Jason Christman are another great series of minimalist prints. 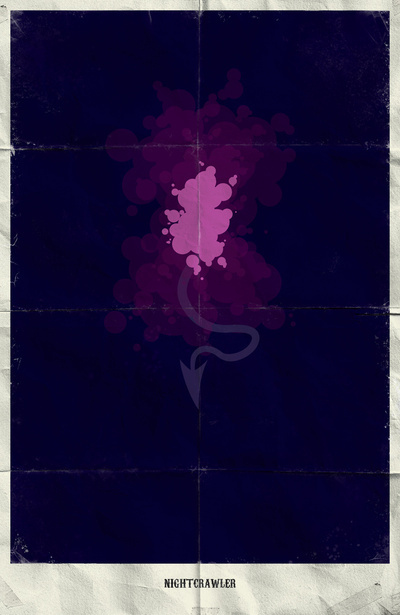 Mark Manev created a great series of Marvel superhero minimalist art. One of my favorites is this Nightcrawler one. 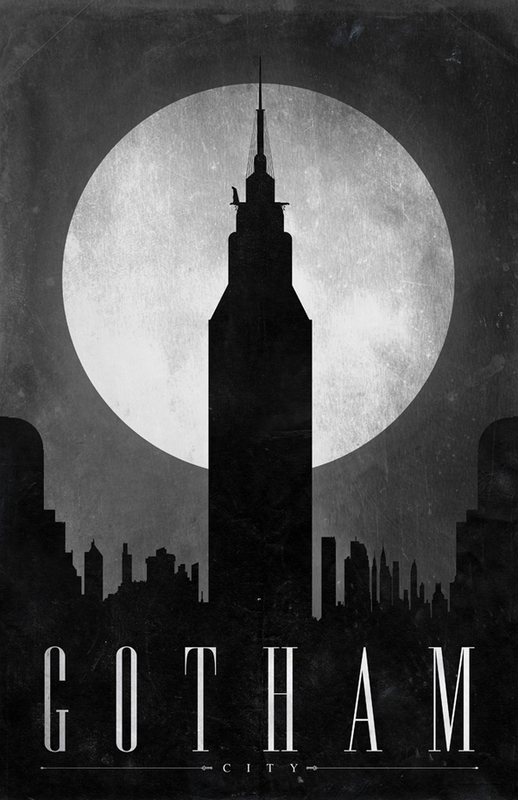 Lastly, these minimalist comic location prints by artist Justin Van Genderen are awesome (can you sense a theme here?) He’s also responsible for these Star Wars prints that are unfortunately no longer available. I have to say, I’m often envious at all the merchandise that Star Wars fans have access too. That’s definitely no exception when it comes to kitchenware. The largest collection coming from Willams-Sonoma. 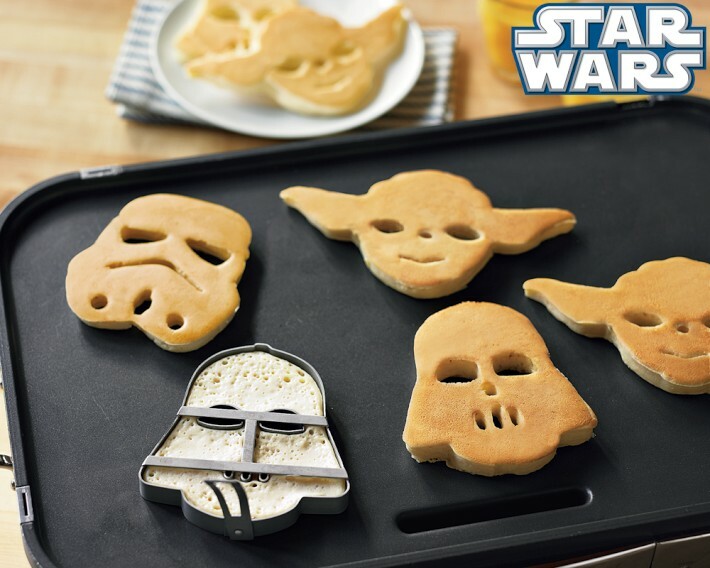 I love these pancake molds. Why not flip your pancakes with these flexible spatulas. While you’re at it, why not make a few cookies to go along with those pancakes. 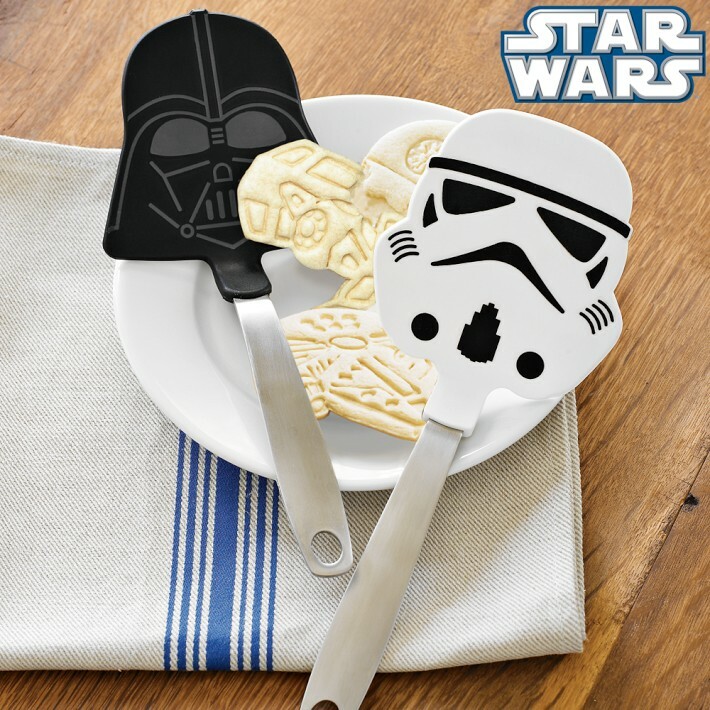 Thinkgeek also has a great collection of kitchen related supplies. 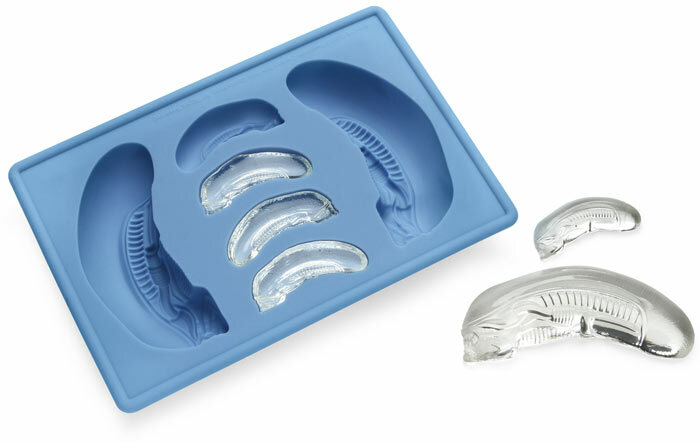 I personally love the variety of ice cube trays they have. 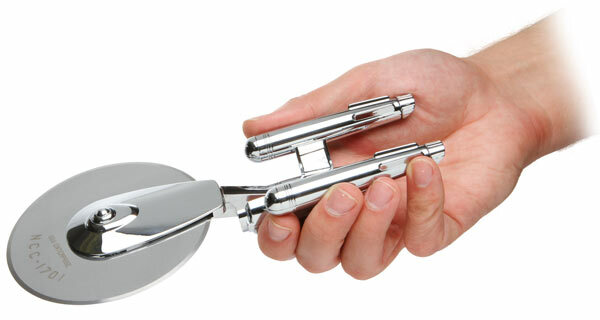 You can also sport your Star Trek pride with either a pizza cutter or bottle opener. 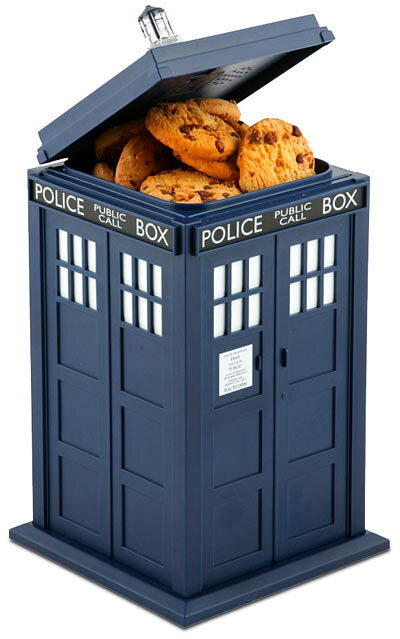 Hey, you can put all those Star Wars cookies you made into this awesome Tardis cookie jar. 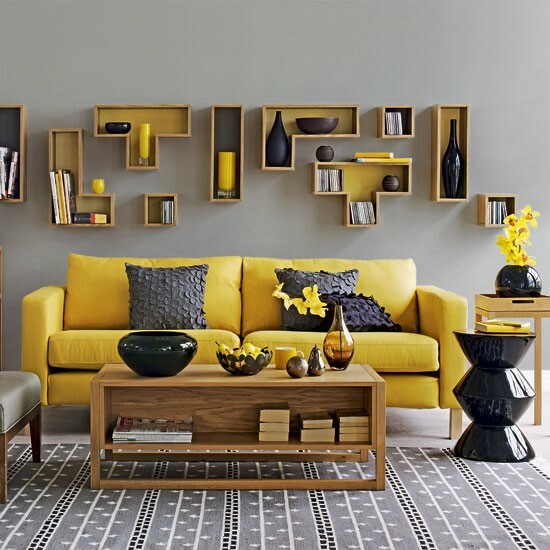 This section covers all the other stuff that you can adorn your home with. 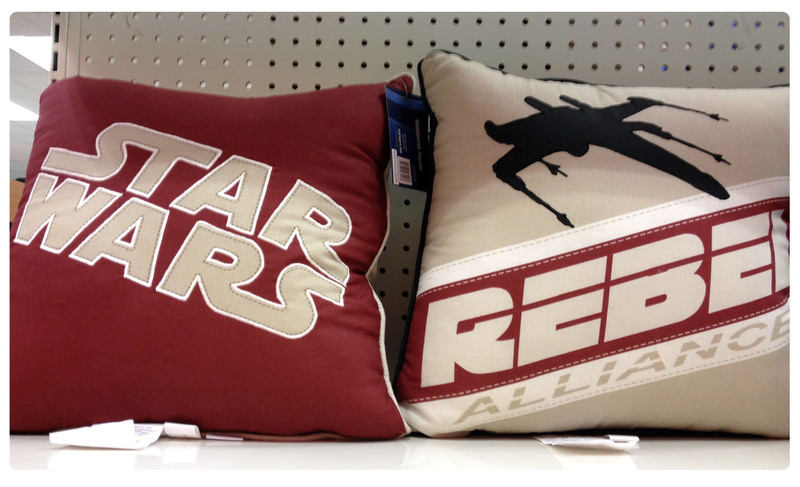 As we have mentioned before, these Star Wars pillows are currently available at Target. 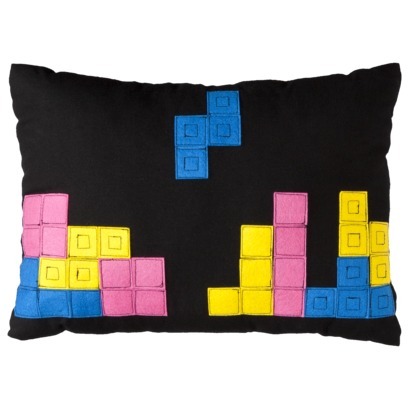 I also spotted this Tetris pillow at Target when up I picked up those other pillows. 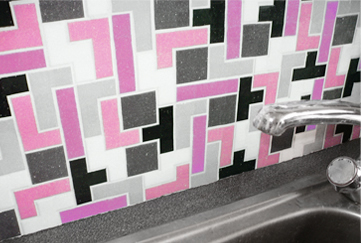 Speaking of Tetris, I can’t wait until I own my own place so I can add these tiles somewhere in my home. There are also these Tetris shelves you can buy, or if you’re feeling extra crafty, can make yourself. Here’s a great example I found on Pinterest of Tetris shelves being used in a in a modern home setting. 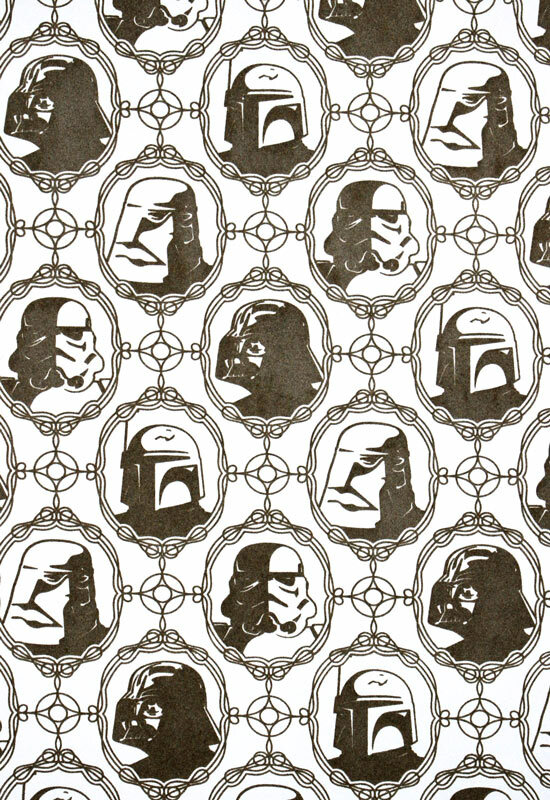 Speaking of more stuff that goes on your wall, I love this Star Wars Imperial wallpaper. I can totally imagine sporting this in a bathroom with some board and batten. 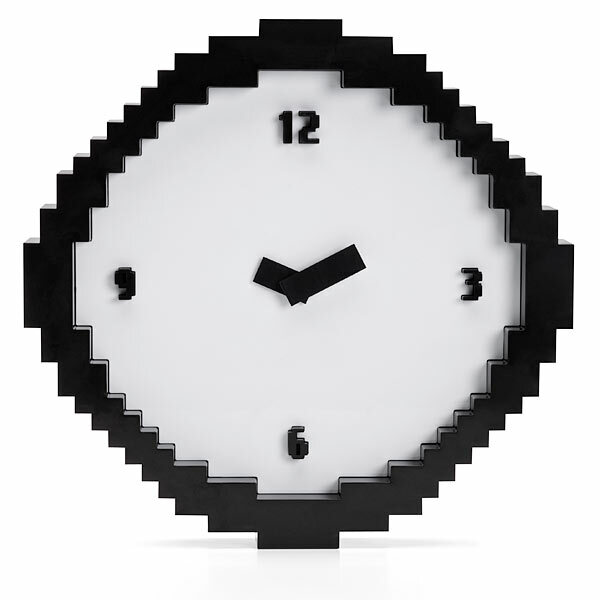 This pixel clock would look great in a kitchen. 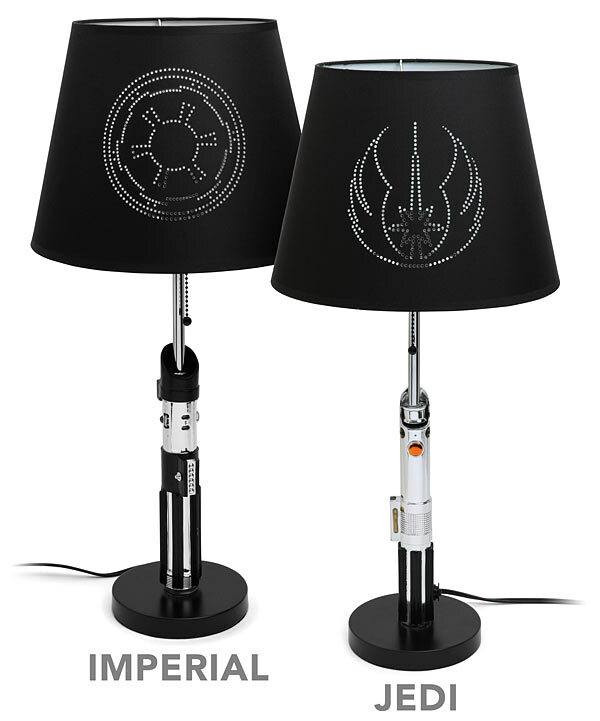 I spotted these Star Wars lamps at SDCC this year, and looks like you can pick them up at Thinkgeek. Also, I’ve found these great lamps at Lamp-in-a-Box. 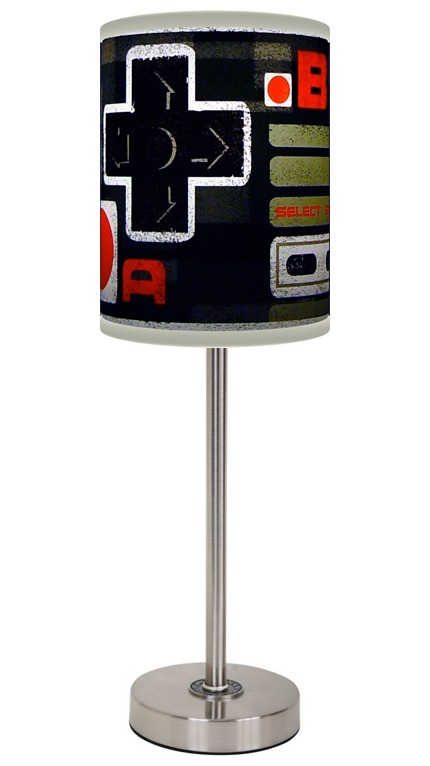 This Ninetendo lamp shade would look great in a living room or game room. Or how about a shade featuring the X-men. 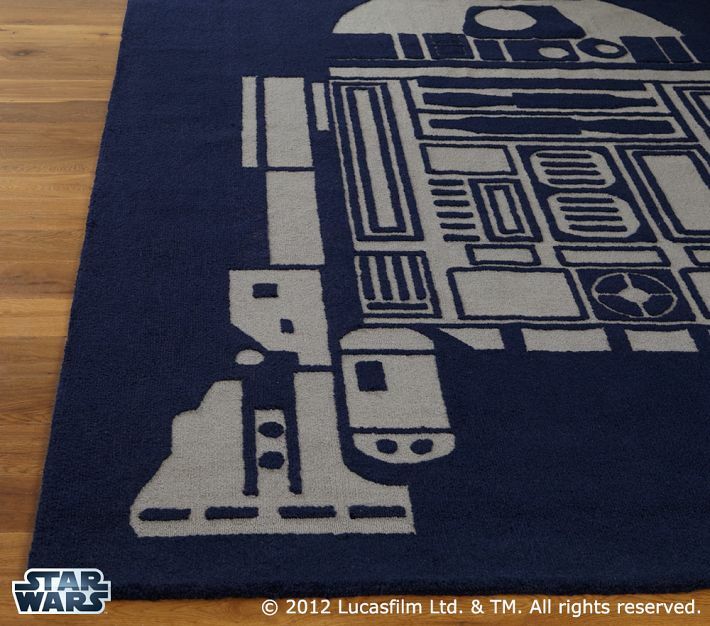 Although this R2-D2 rug is located at Pottery Barn Kids, I think it would look great in a guest room or living room. Lastly, I don’t think we could do a post on geek chic home decor without mentioning the company Geek Chic. 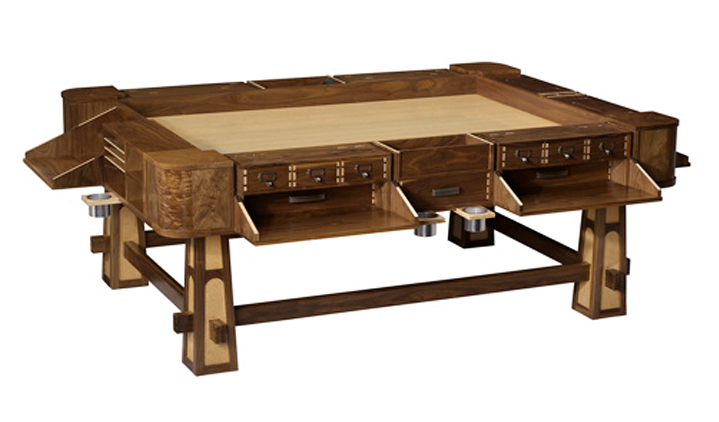 They’re best known for creating handmade gaming tables that are not only functional but look great too. They do range in price, so you can start out with something like The Portal or work your way up to The Sultan. They even have coffee table versions. My favorite is The Rift. What do you guys think? 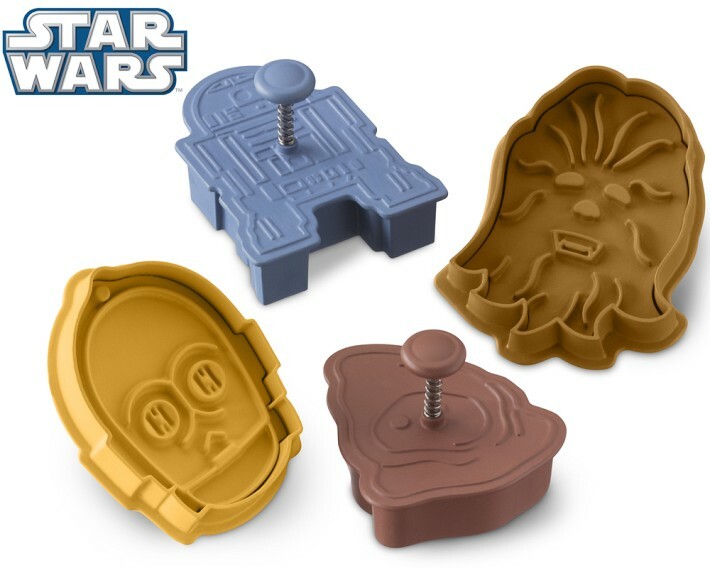 Do you have some fun geeky themed decor or have you picked up anything lately? Share your geeky spaces with us on our Facebook page. I actually have something home related in the works for this week’s DIY Friday that I can’t wait to share with you.